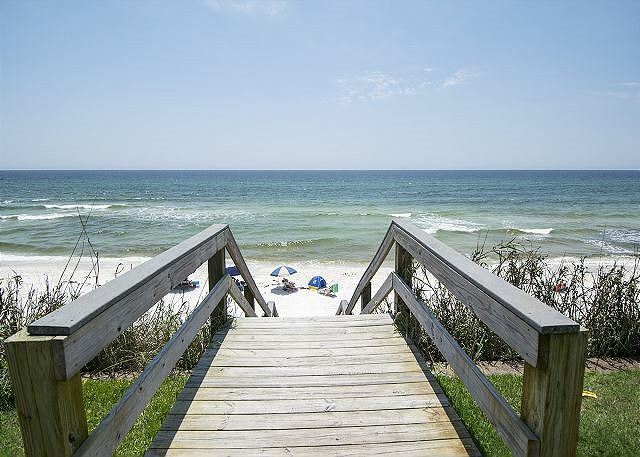 Whether you decide to do nothing at all or everything you can imagine, you have found your 30A dream vacation getaway. 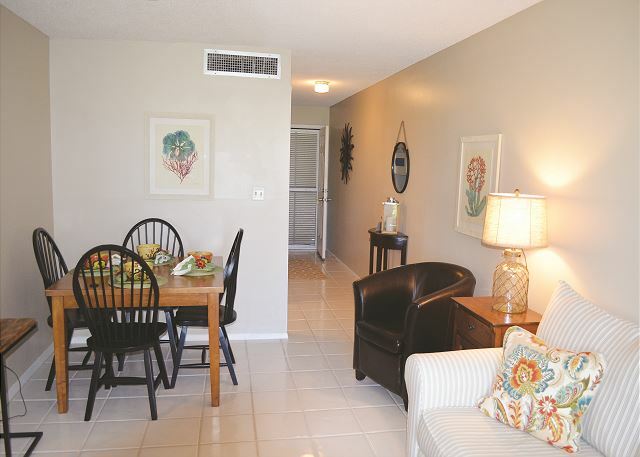 This complex is nestled between Rosemary, Alys, Seagrove, and Seaside Beaches. 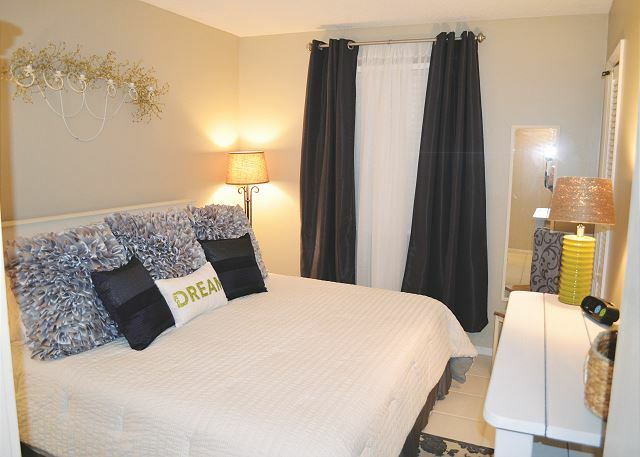 It's also directly across from Camp Creek Golf Course! 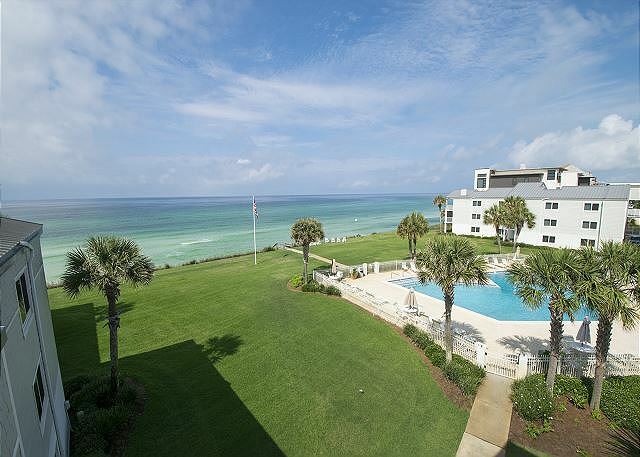 The timeless vision of Sand Cliffs Condominiums provides breathtaking views off your own back patio of the magnificent sugar white beaches of the Gulf of Mexico! Our world renowned location offers many incredible dining and shopping establishments within a mile and plenty of additional locations not far beyond. 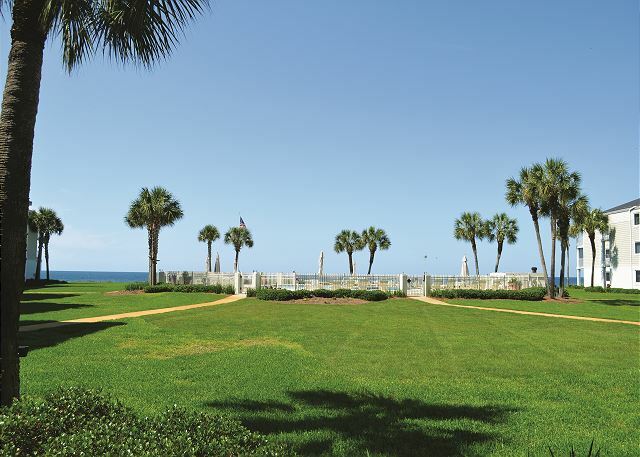 The enclosed courtyard offers a large beautifully landscaped pool and vast amounts of manicured lawn perfect for relaxation or recreation as well as a safe and natural area for the kids to play. 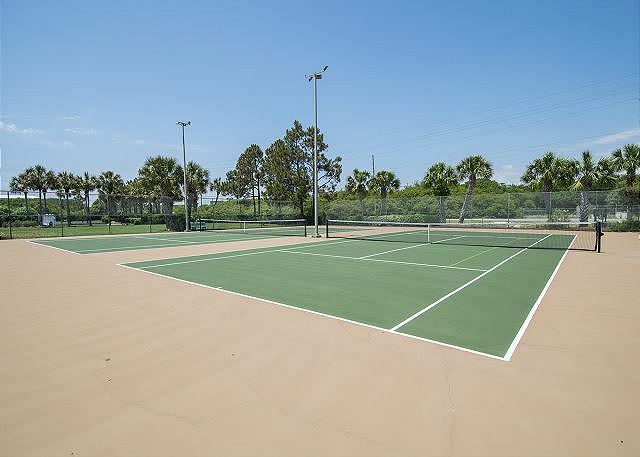 For the more adventurous or active, enjoy use of our 2 owner provided cruisers to stroll along the 17mile 30A bike path, or play tennis or basketball on the courts located within the Sand Cliff Condo gates. Relax by the beach or pool with use of our beach equipment and even sand toys for the young or young-at-heart! 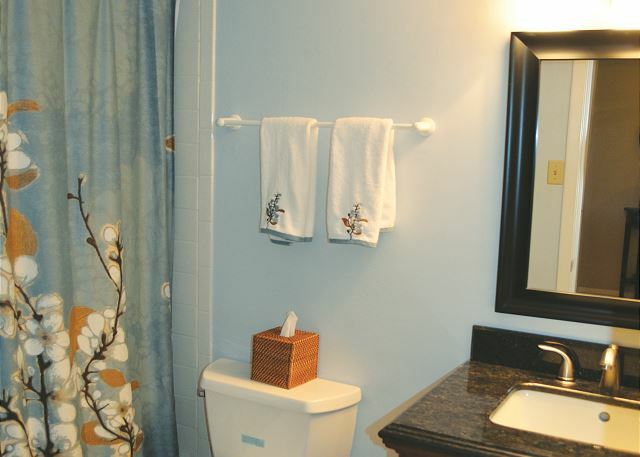 We truly bring ease and relaxation back into your vacation. 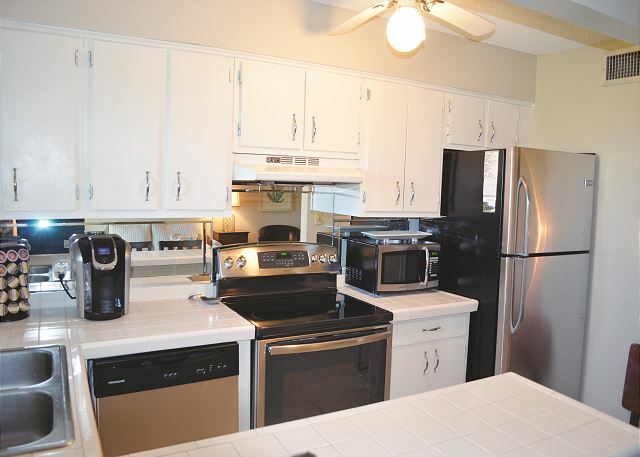 This very bright gulf-front 1BR/1BA has a well equipped kitchen (with a blender & Keurig for those must have drinks!) 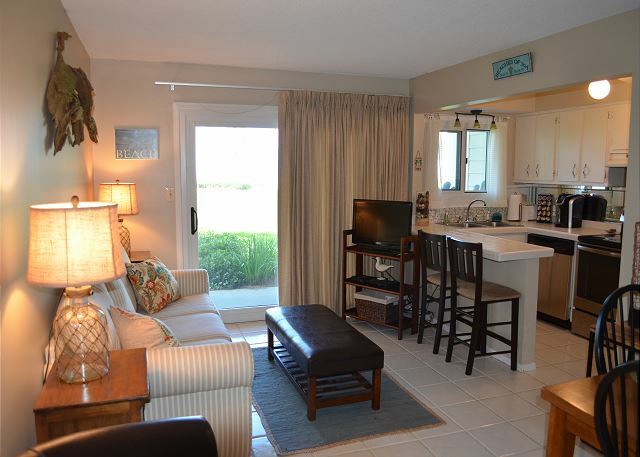 and a beautiful and bright living/dining area with a view directly to the pool and Gulf. 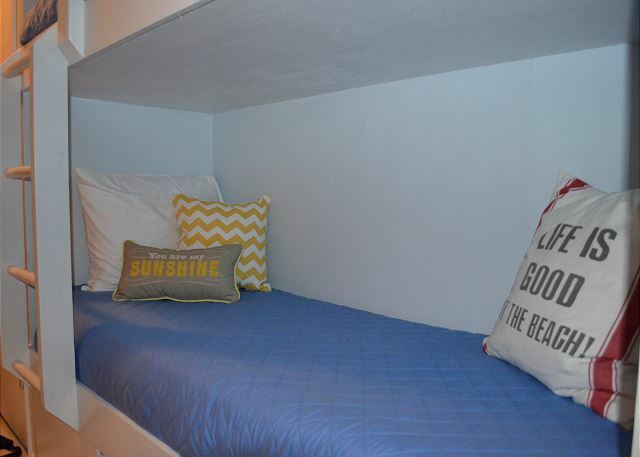 The incredibly comfortable CA king bed with newer bedding provides a relaxed, restful sleep as you listen to the rolling sounds of the Gulf. 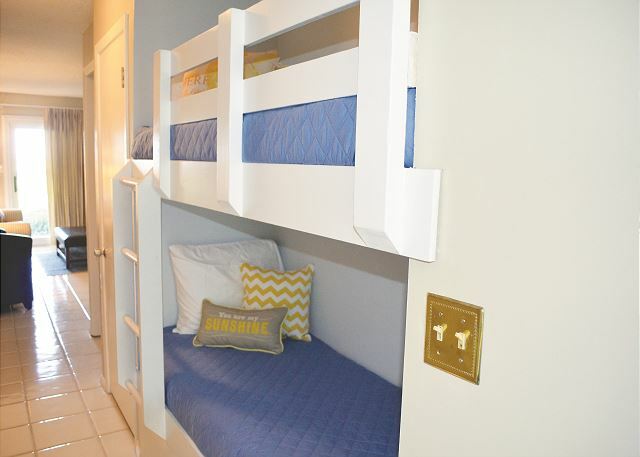 The hallway bunk area provides additional sleeping space for 2. 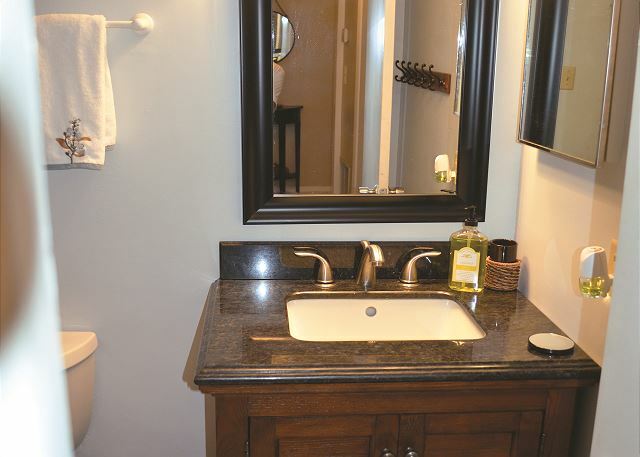 The newly renovated bathroom has everything you need! A large Cable TV w/DVD, free WiFi is provided. 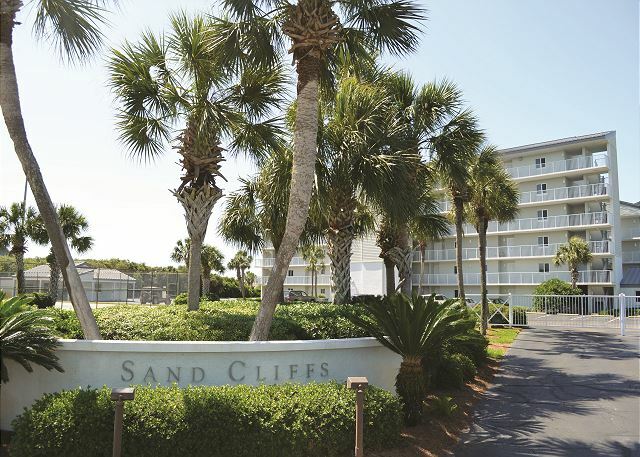 Sand Cliffs also offers washers/dryers, and plenty of free parking for your boat or RV add to the list of amenities for this property. 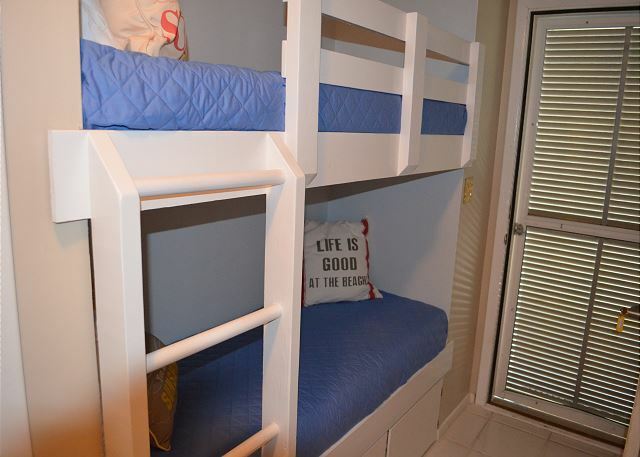 Check out our pictures and book your vacation today to make your own memories for generations to come! SUGGESTED ITEMS TO BRING: Beach towels, beach chairs, tanning lotion, camera, radio/ipod, paper towels, toilet paper, trash bags, dishwasher detergent, laundry soap, bath soap, bicycles, rafts, coffee filters/pods, antiseptic, flashlights, umbrellas, and fishing gear. Thank you for taking the time to submit your review. We do appreciate all comments and suggestions and will be taking inventory as soon as we can to ensure that all the basics are present for a 5 star experience! 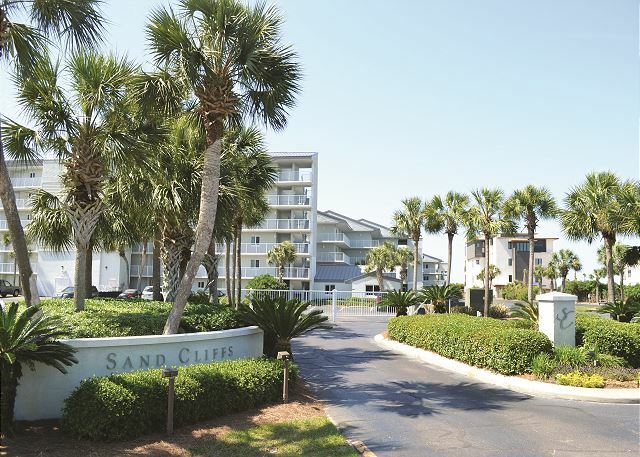 Sand Cliffs is a gem - great location in Seacrest Beach - close to Rosemary and just a bit farther to Seaside - take in all the sights along 30A. This is a great area to rent bikes and have your adventure along the miles of bike/walking trails. Prefer tennis? 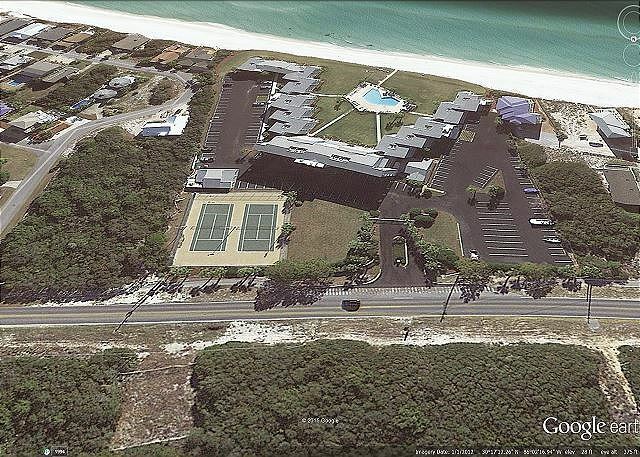 Sand Cliffs can accommodate - there is a tennis court available for guests. 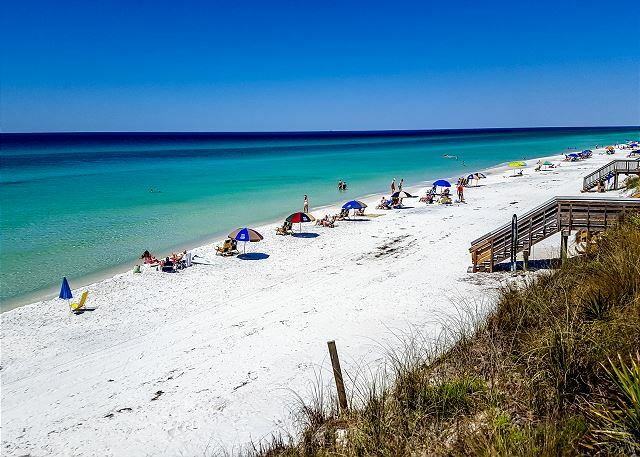 After all that exercising - feel free to lounge by the spacious community pool or walk the few steps down the boardwalk to the sandy white beaches of South Walton County! 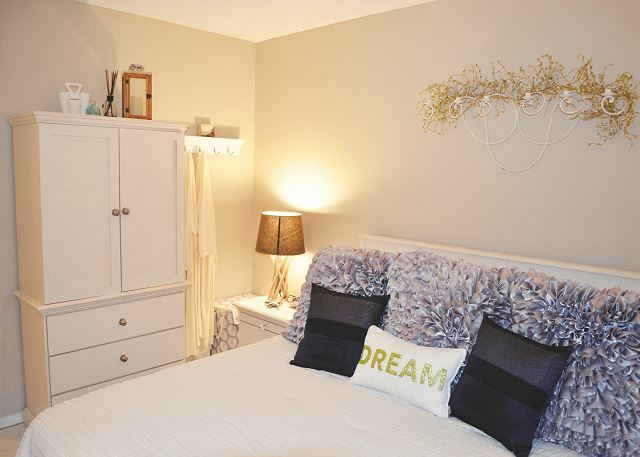 There is something for everyone here at Sand Cliffs - try it once and you may be hooked for life! Call Benchmark today and let us take care of you! First time in the FL Panhandle! 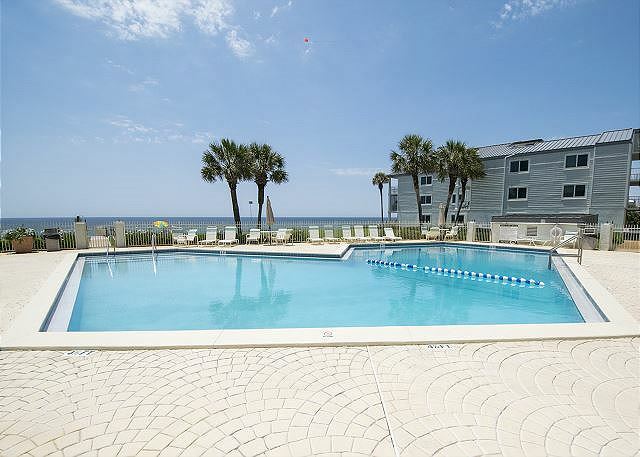 The location of 109 is perfect; just steps away from the beautiful pool, and a few more to the beach! Thank you for submitting your review! Isn't this a wonderful complex! Everything you could possibly imagine to make your beach vacation a memorable one! Beautiful views of the Gulf which is just outside the patio door! 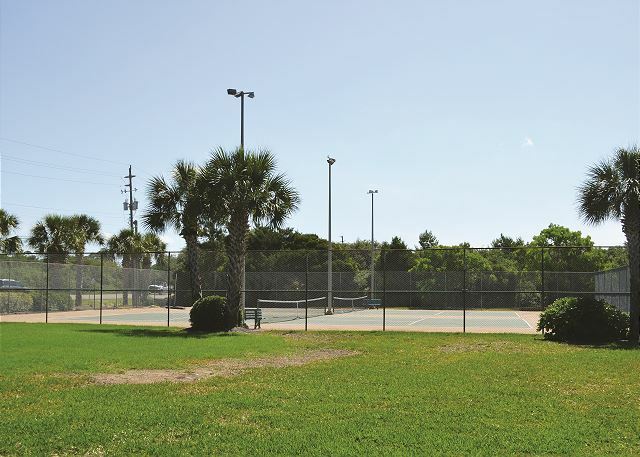 An awesome pool and a tennis court for those that like to stay active. And parking is no issue! Families come to this complex year after year - it's time you found out for yourself what makes Sand Cliffs so special - call Benchmark today! 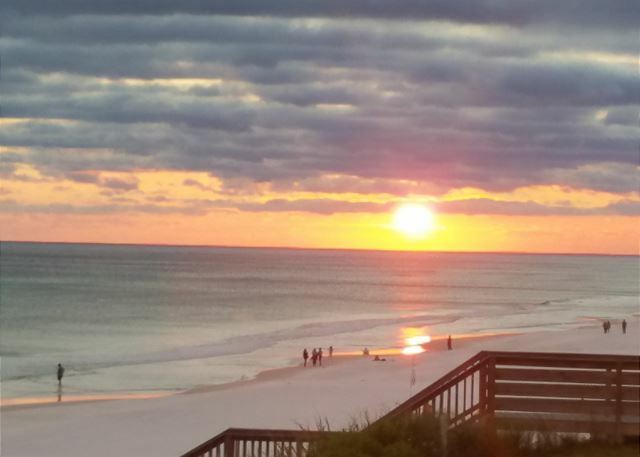 This is one of the best locations on 30A. The condo is first floor so it's very convenient to walk right out to the pool and beach... although you do have a few stairs to get down to the beach. 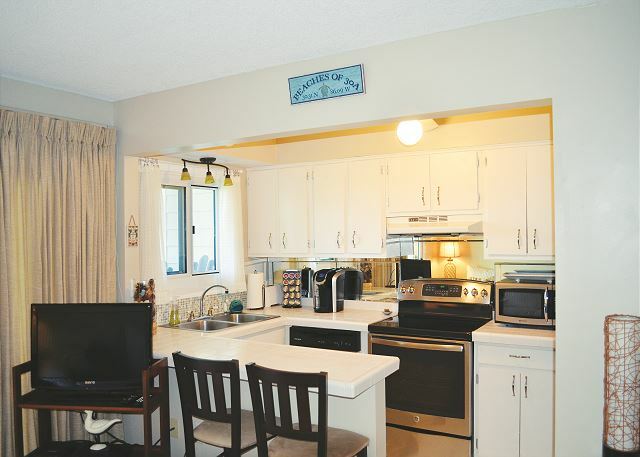 Unit #109 is a sweet little condo and it is clean but it does have a musty smell to it. Thanks to everyone at Benchmark who tried to take care of the issue by adjusting the thermostat to help get rid of musty smell and to Angie for bringing us warm dry blankets. However, the problem is that the mattress is holding moisture and it needs to be replaced. We would love to stay here but the moisture/mattress issue would have to be addressed. Thank you for submitting your review - we do take all comments and suggestions seriously. 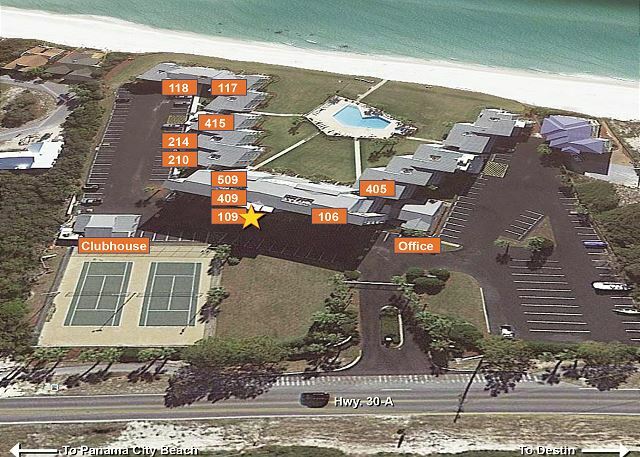 You are right about this complex - it is truly a wonderful experience to be on the Gulf and right in the heart of 30A! We do apologize for any issues during your stay but we have looked into this and we have been unable to replicate the "musty smell". We have had our maintenance manager check extensively throughout the unit and we do not find any issue at all. We do find that when guests open windows and patio doors (which is so very tempting to do when you are right on the water!) on very humid days it can cause some condensation. We always recommend that the air conditioner stay on and all doors and windows stay closed! 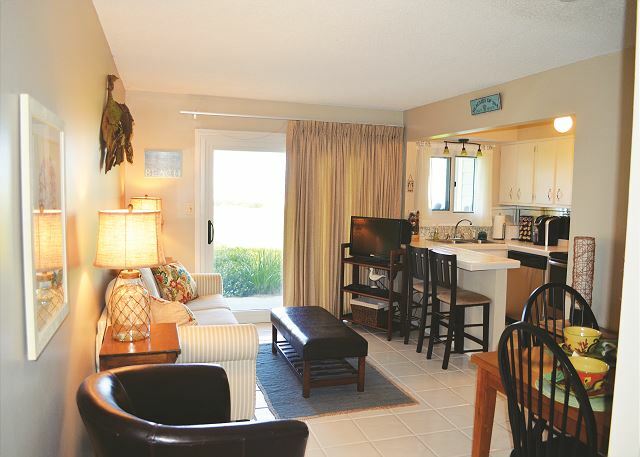 We do hope that you will choose to stay with us again in this beautiful Sand Cliffs area!